Video Recruiting & Hiring: Ready for Prime Time? While I was attending film school (a qualifier that probably severely undercuts the credibility of the rest of this article), I never ceased to be amazed at the fact that while my emerging oeuvre of crappy handheld shorts – always shot without any semblance of a budget, production design or, you know, an actual narrative story – left much to be desired, the actors and actresses appearing in them were almost always world-class. Why in the world, I wondered, would someone with classical training from Julliard or the Conservatory at Yale deign to work grueling days for free on a project whose sole viewership would be restricted to a small group of pretentious film school students? Because, of course, anyone hoping to get a big break in front of the camera must possess at least two prerequisites, beyond, of course, generous genetics and a complete willingness to sell their soul: a head shot (which doubles as a resume), and a reel, allowing potential agents and casting directors the opportunity to see them in action – and on camera. There’s an apocryphal saying that the camera adds five pounds, and there’s some truth to that. One of the reasons for the ubiquity of the audition reel (or screen tests, in those halcyon days before the invention of VHS), is that when it comes to presentation and physicality, there’s often a disconnect between film and real life. So while an actor might have the chops to do a Royal Command performance as Falstaff, it’s by no means certain that they could hack it, in, say, Attack of the Killer Tomatoes II. Now, of course, the audition reel has, as so many fads do, moved from Hollywood to any town. Only now, it’s referred to as “video recruiting.” And, increasingly, companies are turning to video technologies as an integral part of the talent acquisition process. With good reason. YouTube is the world’s second most-used search engine, and according to Comscore’s 2012 US Digital Feature in Focus Report, about 105 million Americans watch online videos every day, with 56% of Americans watching a video on their mobile device at least once a month. The growing accessibility and capability of streaming content has translated to the rise in employer branding videos (which follow another time-honored Hollywood precedent: the trailer which often makes the actual product look much more enticing than it actually is), video job descriptions and, of course, video interviewing. The advantages to translating employer branding and talent attraction to the small screen are fairly obvious, leading to, presumably, a larger, more engaged, and better informed pool of candidates. Conversely, the use of video interviewing technologies facilitate a quicker hiring process that makes it easier for employers to screen out candidates based on soft skills like presentation and polish. This seemingly win-win combination has led to a burgeoning sub-industry of video vendors and services, pitching their projects to corporate ‘producers’ across functions and industries. And, like another Saw movie or a Will Ferrell vehicle, it’s a pretty easy pitch. 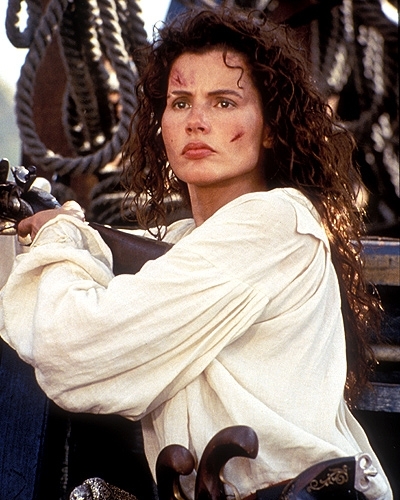 But of course, as with anything relating to film, no matter how good something looks when it’s green-lit, there’s no guarentee that the project will generate a return on investment at the box office (Geena Davis and Matthew Modine in a pirate epic? Count me in!). And the fact of the matter is, video recruiting is still in its formative years, at the silent film, pre-Studio stage of its development – the jury’s still out on whether this medium will really take hold at all, no matter how promising its early returns. Plus, as anyone knows, the camera doesn’t always reflect reality, which might cost employers candidates who would be stars on any stage – just maybe not the screen. Of course, with the rise of the virtual workforce, that may be the only stage that really matters anymore.